Choose the right products. An occupancy sensor / timer + an Energy Star 110-cfm bath fan + a back-draft damper + an exterior filter holder = a system that provides 7.5 cfm per occupant. Choose the right products. 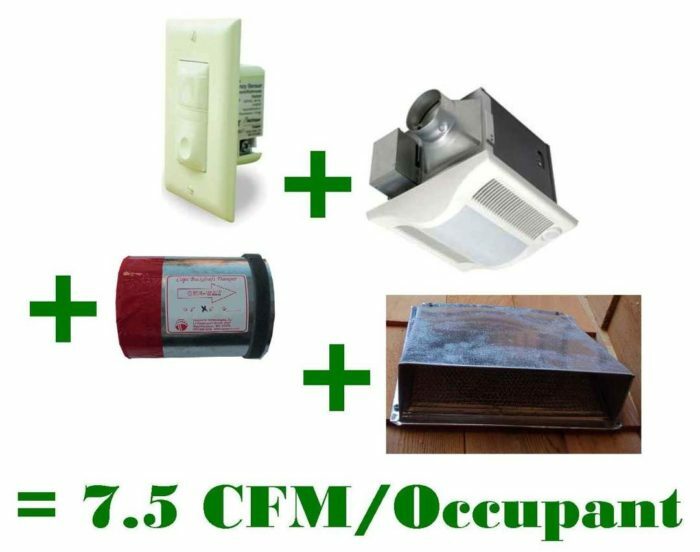 An occupancy sensor / timer + an Energy Star 110-cfm bath fan + a back-draft damper + an exterior filter holder = a system that provides 7.5 cfm per occupant. In-wall motion sensors make adjusting the timer easy. Image Credit: Watt Stopper Legrand The Panasonic bath fans are quiet and durable and worth the extra cash. if your customer is likely to turn it off and leave it off you can buy the model with a built-in occupancy sensor and adjustable timer and hide the switch in the closet. Image Credit: Panasonic inc. Ultra silent and sensitive Cape back-flow dampers can be installed in the wall behind the dryer or fridge so the incoming air blows on the steel frame of the appliance. That way the air isn't as likely to be perceived as a draft by the homeowner. 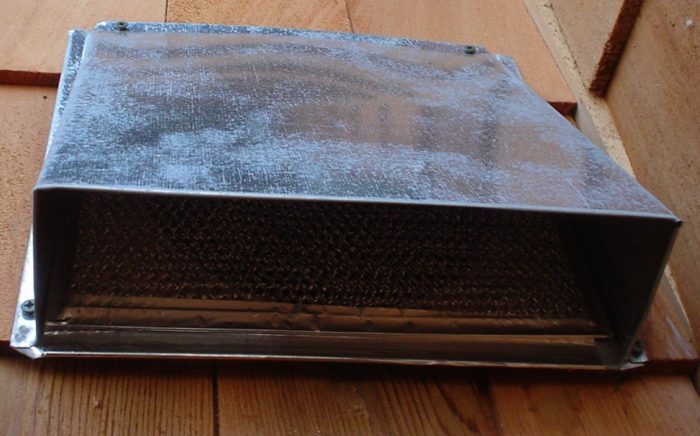 Image Credit: Tamarack Technologies inc. A six inch or larger exhaust vent hood can be adapted: by removing the damper and replacing it with a washable range-hood filter, we minimize pollen and keep out bugs and mice. After trying a variety of ventilation approaches, I’ve settled on exhaust-only ventilation systems with ventilation rates that are on the low side of most recommendations. Most third-party certified green building standards require homes to have mechanical ventilation systems capable of providing 7.5 cfm of fresh air per occupant plus 1 cfm per 100 square feet of conditioned space. As explained in Martin Holladay’s excellent overview of ventilation options, this requirement is based on ventilation rates established by ASHRAE Standard 62.2. Ventilation schemes inspire vigorous debate, as evidenced by the 40 responses to Martin’s article. This is how I do it and why. Other builders may have differing climates and indoor air pollutants to contend with and will therefore choose different solutions. I’m still struggling with several issues, including the question of passive air inlets. Here in North Carolina, the outdoor air is often oppressively humid. Because we’ve eliminated many of the sources of indoor air contamination, I feel that the ventilation rate recommended by ASHRAE 62.2 rate is excessive — especially when work and school schedules often mean that a home’s occupancy level is low. My solution has been to use a simple and inexpensive form of exhaust-only ventilation controlled by very robust and attractive Lutron MS-OPS5AM or the slightly less attractive Watt Stopper RS-250 occupancy sensors with adjustable timers. These controls give me the fresh air I need when people are in the home but automatically scale back when the people are gone. 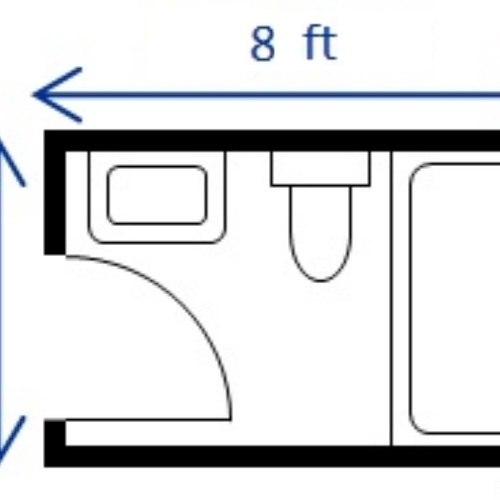 To provide 7.5 cfm per occupant, we need to provide 7.5 x 60 = 450 cubic feet per occupant per hour. That can be provided by a 110-cfm bath fan (hood tested at 80 cfm actual) for 5.6 minutes. If the average individual spends 12 hours per day at home and 12 hours away from home, we need to run that bath fan 5.6 minutes times 12 hours — or 67.5 minutes per day — to provide adequate fresh air for that occupant. If some of the occupants are teenagers or adult children who only occupy the home intermittently, there should be a mechanism by which the house can dynamically respond to variations in occupancy levels. Time-delay occupancy sensors (used as bath fan switches) allow the home to respond to varying occupancies without conscious input from the homeowners. We set the master bath fan at a 30-minute time delay. This is based on the assumption that it will get triggered on average four times a day by two occupants. We put the kids’ bath fan on a 15-minute delay and the powder room on a 15-minute delay. If the kids are away at school, there will be no additional ventilation (since their bath will not see any use), but during a family reunion the venting will be stepped up automatically. We use Energy Star rated 110-cfm Panasonic bath fans, but any Energy Star rated bath fan will do. Our flow-hood testing has shown that a 110-cfm fan actually removes about 80 cfm, so that is what we design for. It is essential to have your Energy Star certifier or HVAC contractor verify the output of the fan to confirm the efficacy of your timer calculations. You may also want to adjust the timer settings upwards if the homeowners have a lot of houseplants or pets. Our goal is to provide balanced and filtered makeup air for the exhaust-only ventilation system, so we provide designed exhaust and a balancing intake. Some builders put a filtered fresh-air duct from the exterior to the return-air duct of the HVAC system. However, with this approach the volume of makeup air changes with the operation of the HVAC system rather than with building occupancy. On the hottest and coldest days of the year, when the HVAC system is operating for many hours per day, the home does not need additional makeup air. Joe Lstiburek’s Building Science Corporation and Masco’s System Vision program advise using a FanCycler timer combined with an intake vent from the exterior to the return-air plenum. During the swing seasons (spring and fall), when the HVAC blower rarely operates, the FanCycler energizes the HVAC fan on a schedule to assure adequate ventilation. The FanCycler control also shuts a motorized damper when necessary (usually in very cold or very hot weather) to prevent overventilation. Some builders, especially those in the North, design their ventilation systems around Energy Recovery Ventilators, generally using them in place of bath fans. This is a very valid solution if you can locate the filters in easily accessible locations and if your budget can handle the $2,000 installed cost. We still use a passive intake air vent to provide for the clothes dryer (which needs up to 200 cfm of makeup air) and the range hood (which can need well over 100 cfm). Even a sealed-combustion wood stove needs enough air to minimize smoking when you are loading the wood. Martin’s suggestion that we eliminate passive intakes and rely instead on random envelope leakage is very compelling. This is an issue I’ve been struggling with, and one that I have been arguing with my Energy Star / Builders Challenge rater about. One cold-climate builder told me that he pulls his fresh-air intake through a long section of six-inch steel duct in his conditioned crawl. This appraoch pre-warms the incoming air, reducing the chance of cooling the laundry room too much in cold weather. When we build on a sealed crawl space we will generally install a Panasonic 80-cfm bath fan in the crawl space to continually cycle 80 cfm of air from the conditioned space into the crawl space and out through a 4-in. steel duct. This appraoch keeps the crawl space depressurized with respect to the conditioned space above. There are a lot of variations on the concept, and many have value. There is still much ambiguity in the building code, and in some cases the intent of the building code and green building standards are unclear. With green building’s emphasis on eliminating sources of indoor air pollution, a good argument can be made that it’s acceptable to ventilate a certified green home at a rate that is less than the rate recommend by the ASHRAE 62.2 standard. If I can use really good and quiet bath fans and a few $32 occupancy sensors to achieve my indoor air quality objective — without the cost of an ERV — then I can use that money for a better thermal envelope. 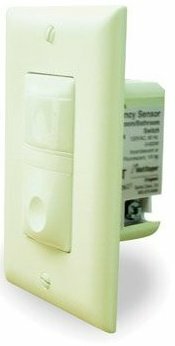 We’ve had an unacceptable failure rate with the Cooper 6109 occupancy sensors sold in the big box stores, and we now avoid them. It's always interesting to read your carefully considered opinions on topics like this, Michael. Since you're in a mixed climate with more heating than cooling load, you can get away with negative pressure ventilation. You still need to be careful about outside air getting pulled into wall cavities during the cooling season, where it could find a condensing surface on the back of the drywall. Also, there is an inexpensive ERV out there now. Panasonic makes on called the Whisper Comfort for spot energy recovery ventilation. It can operate at 20 or 40 cfm and costs less than $300. I don't have any experience with them and would love to hear feedback from people who have used them. Micheal , wouldn't you say that the piedmont in NC is more cooling than heating ? With alot of humidity? How about a stand alone dehumidifier in the HVAV system for our early fall season. E.C., most houses in the NC Piedmont have more heating load than cooling. I live in Atlanta, and that's the case here, too, and people are always surprised when I tell them that. Look at the loads from home energy rating software or another energy modeling program for pretty much any house in the area , and you'll see it's true. I imagine you might be able to design a house where that wasn't the case, but I think it'd be difficult. Allison is correct in that we have more heating degree days (3457 annually) than cooling (1417 annually per http://www.climate-zone.com/climate/united-states/ ) However it's a lot easier to design for passive solar heating than for cooling and de-humidification, so that does tend to balance things out a bit especially as the types of things we do for passive cooling (cooling tower design and exterior shade structures over the windows) tend to be un-helpful when it comes to de-humidification. If you have 14,000 heating degree days you need a heat recovery ventilator. What I've heard about the $320 Panasonic FV-04VE1 in-fan ERV is not very compelling. I think you want to bite the bullet and get a Venmar or don't bother. I hear that the Panasonic removes two sf for every one sf it brings in and doesn't have a very effective heat exchange core. Great fans, they should stick to what they do well though according to my sources. The Venmars have a damper that shuts down passive air flow due to stack effect when the unit is not cycling and can be enabled to run dual speed or as activated by a wall switch in the bathrooms and also can have an outside temperature sensor set up to adjust for extreme outside temps, overkill for my region but really the right thing for you Yankees and Canadians. Good info, and very much appreciated. The folks who do a lot of HRV around here have bid a Lifebreath system for me. I will research how they compare. Where is the line HDD between exhaust only and HRV? Thanks for the great information Michael. If you'd recommend an HRV for 14,000 HDD, at about what HDD point does the HRV become the better way to go? While Michael may disagree, here's my view: there is no line that divides a region where exhaust-only ventilation systems are recommended from a region where HRVs are recommended. Either system will work in a variety of climates. The choice between the two options usually hinges on cost and performance. Those looking for the lower-cost option choose exhaust-only systems, while those looking for the best performance choose HRVs. If the plan does not allow the passive intake to be located on an exterior wall in the laundry area do you put the intake in another room or do you duct it to the outside. I see Panasonic makes a passive inlet model number FV-GKF3251. Have you evaluated the performance of this product. It appears to be an all-in-one solution that includes a filter. How do you prevent people from disabling the timer controls on the bath fans? I don't have experience with a FanCycler but it seems this would be harder for a homeowner to disable. Your system for having a sealed crawl that is depressurized makes sense. I build in NC and I have talked with many HVAC contractors that want to run the supply duct with a back flow damper to condition the crawl. In most cases I have found the CFM flow out of these supplies is extreme and takes trial and error adjustments. Air has a specific heat of 0.0182 Btu/cf/°F. So each cubic foot of air would require 70 x 0.0182 = 1.274 Btus to warm from zero to 70°F. That's not a lot of heat until you multiply it by the whole house volume and the number of air changes per hour. A 2,000 SF house with 8' ceilings exchanging 0.35 ACH would be losing 7,134 Btu/hr or 1.71 therms per day for ventilation. With fuel in the range of $4/therm, that's a daily cost of almost $7.00. In a 14,000 HDD climate, the ventilation loss can require 336 therms per year or about $1344 dollars. So an HRV would pay for itself pretty quickly. In a tightly-built house with exhaust-only ventilation (which I advocate), I think it's important to strategically place fresh air inlets where the air is most needed and dispersed sufficiently for uniform air exchange. I also use a dedicated supply inlet for the laundry room, but I isolate that room with door weatherstripping from the rest of the conditioned space so that the dryer doesn't cause excessive air exchange. I also use a dedicated supply duct for a woodstove, ideally direct-coupled. 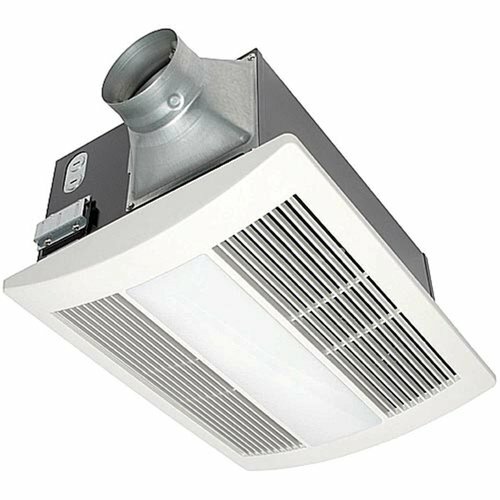 But I place one fresh air inlet (I prefer the American Aldes Airlet 100) in each bedroom about 6" below the ceiling in an outside wall, and at least two in a living area (my passive solar homes have an open 1st floor plan). Source pollution is exhausted on demand from bathrooms and kitchen range, and a 24-hour programmable timer also controls the Panasonic bath fans for a design minimum 0.25 ACH. Even with relatively "clean" building materials, I believe that a building needs to be ventilated whether occupied or not, so that all possible pollution sources are diluted. The ASHRAE standard is for minimum average air exchange sufficient to maintain a healthy indoor environment. It may be too low when the house is heavily occupied and too high when it's not, but the daily average should be sufficient to maintain indoor air quality. As I've said elsewhere, I don't believe that a ventilation system that relies only on occupant sensing controls meets the intent of ASHRAE 62.1. Such controls make sense for an HRV boost, but not for baseline ventilation. There are a huge number of passive inlets on the market. http://www.iaqsource.com/category.php/heat-recovery--energy-recovery-ventilators/?category=813 I have generally made my own because I have a lot of sheet metal tools and I love working with the stuff. I don't have a strong preference for one solution over the other. As far as where to draw the line, budget does end up playing a large role in that decision. As you get to a longer winter the concentrated cold in the laundry due to the passive intake there becomes more of an issue, and the risk of over-ventilating due to passive stack effect increases. Both of those conditions advocate for a distributed make-up air with exhaust only but no passive intake as Martin recommends. Martin also makes a good point that there is no "payback" on a $2,000 energy recovery ventilator. The pay back is a better performing building with reduced condensation on windows (and inside walls) and better indoor air quality, it doesn't get measured in dollars and BTUs. One way to prevent people from disabling timers on bath fans is to use the Panasonic fan with the timer and motion sensor built in and hide the switch in the closet (or hard wire it to the breaker panel with a lock-out tab on the breaker.) I just make it part of my walk through and home-owners manual to educate them that this is a non-optional part of their building performance system. Thanks for the comment about the depressurized crawl. I've always perceived crawlspace air as toxic and never could get enthusiastic about conditioned crawlspace schemes that constantly circulated air from the house to the crawl and back to the house as is common practice. 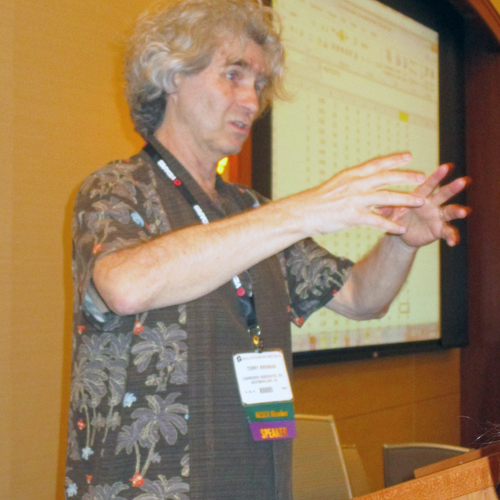 In a recent discussion with Armando Cabo he pointed out that the code requires supply and return vents in any conditioned crawl or conditioned attic. To me this would constantly bring moisture up into the attic where it could infiltrate the spray foam and freeze against the roof ply and it would also bring nasty air from the crawl up into the house. Far better to constantly circulate 60-70 cfm of conditioned air from the house down to the crawl and out and to minimize at all costs air exchange between the house and the sealed attic. I am fortunate that I work with a very progressive building department that is enthusiastically enforcing best building practice within the intent of the code and not just enforcing the letter of the law. The house we just won an energy value housing award for was built in another county and we had to fight the inspections department every step of the way at great cost both in dollars and aggravation. I've been trying for some time to get information about exactly what fire retardant is being added to spray foam and all i can get is "trade secret". Allison Kim Bennett and the folks at EPA environmentally preferable products are working on the issue and are especially watching the dust created by shaving the product as used in walls. My sense is that spray foam is safe and the benefits of a sealed attic out weigh the costs and environmental down side but I do everything I can to minimize trimming and use JM spider in my walls as an alternative. Lstiburek's old work on air tight drywall approach still holds up. Beth just drew up a beautiful drawing of that wall detail which I'll be writing about if I can just get a little free time away from the work I'm doing getting ready for the NAHB National Green Building Conference we're having in Raleigh on May 16th. I suppose I may see a few of y'all at RESNET next week in Raleigh as well. 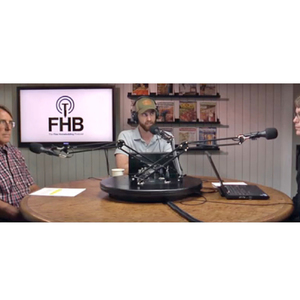 Michael: "the risk of over-ventilating due to passive stack effect...advocate for a distributed make-up air with exhaust only but no passive intake as Martin recommends." If a house is reasonably tight - on the order of 2 ACH50 or 0.10 ACHnat - then there is little concern about stack effect losses, even with passive air inlets. There are two reasons we use mechanical ventilation in place of natural leakage for indoor air quality: 1) to guarantee a reliable minimum air exchange rate; and 2) to distribute fresh air throughout the house rather than rely on unknown infiltration paths and short-circuits. Exhaust-only mechanical ventilation meets condition #1 but not condition #2 without strategically-place make-up air inlets. If we exhaust air from the problem areas but don't put the fresh air where it's needed, then we've solved only half the problem. Michael: "Martin also makes a good point that there is no "payback" on a $2,000 energy recovery ventilator. The pay back is a better performing building with reduced condensation on windows (and inside walls) and better indoor air quality, it doesn't get measured in dollars and BTUs." That statement is absurd. Of course there's a financial payback and it's easily calculated. And the non-quantifiable quality of space payback is the same with either centrally-ducted HRVs or properly designed exhaust-only systems with distributed inlets. Michael: "There are a huge number of passive inlets on the market.... 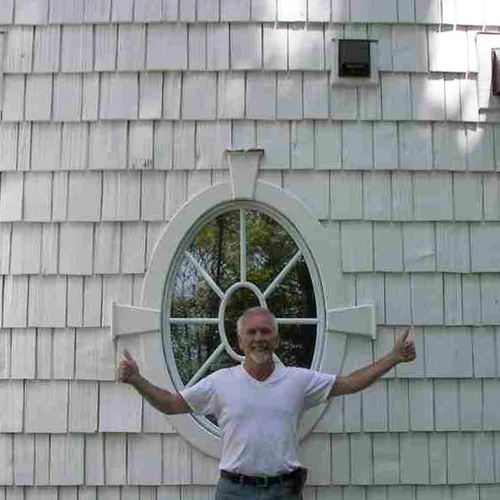 I have generally made my own"
I made my own on the first tight, super-insulated house I designed and built more than 20 years ago, but I cannot fabricate inlets that work for distributed fresh air as well as some of the manufactured units on the market and I doubt that you can either. Michael: "I've always perceived crawlspace air as toxic and never could get enthusiastic about conditioned crawlspace schemes that constantly circulated air from the house to the crawl and back to the house as is common practice...Far better to constantly circulate 60-70 cfm of conditioned air from the house down to the crawl and out "
I don't know why a sealed, insulated and conditioned crawl space would be any more toxic then the rest of the conditioned space - unless proper radon mitigation was omitted. And I can see no point in pushing additional heated air out through the crawlspace unless it was part of the exhaust-only ventilation strategy. Perhaps better to air seal the crawlspace well from the exterior, install a vent stack from the crawlspace through the roof and rely on passive exfiltration of heated air from the conditioned space. That's a perfect application for a (non-powered) exhaust only system that relies on minor envelope leakage. Concerning your mini-debate over the payback of HRVs: I fear I may have been quoted out of context. 1. Of course, the operational costs of an HRV may be lower than an exhaust-only ventilation system — if, but only if, the value of the heat recovered by the HRV exceeds the cost of the extra electricity to run two fans. The most efficient HRV may use less energy than a Panasonic WhisperGreen, which draws only 11.3 watts to deliver 80 cfm — but probably not. So, if the HRV has a lower operational cost than the exhaust-only system, then you could say that there is a "payback" for the HRV — when compared to an exhaust-only system. I have no idea whether the $2,000 cost of an HRV system would provide enough operational savings over its expected lifetime to result in a net "payback" for the high investment cost. 2. However, operating a mechanical ventilation system doesn't provide the same type of "payback" as a PV array or a drainwater heat-recovery device. Many people live without any mechanical ventilation system at all, so one's discussion of "payback" depends on what you are comparing the HRV to. If Joe Homeowner hears that an HRV provides a payback, and rushes out to buy one, he may be surprised to learn that actually, an HRV uses energy — the more you use it, the more energy it requires. In that sense, there is no "payback." Is there HVAC equipment that heats, cools, and ventilates, using existing ducts, instead of multiple systems. It would look to makes things much simpler. 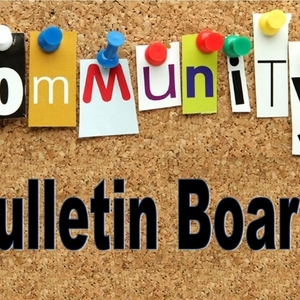 Natural Resources Canada has a research program (Ekocomfort) to encourage boiler manufacturers to develop an integrated appliance that combines a boiler, hot water tank, air handler, and HRV. It does not include an air conditioner. The best known Ekocomfort appliance is the Matrix from NTI (NY Thermal). Another possibility is to install an air-source heat pump (which provides space heat and cooling). If you connect a passive air duct that supplies outside air to the air handler, and if you equip the duct with a motorized damper connected to a FanCycler control, the functions you mention would be covered. The perceived complexity (not to mention cost) of HRV/ERV/FanCycler/etc. makes me wonder if there is anything else that matches the simplicity of the bathroom exhaust fans--but for fresh air. The passive inlets seem, well, a bit TOO rudimentary. Seems strange to go to such trouble to build an airtight home and then install HOLES in the walls. Would it be possible to use an exhaust fan to bring in fresh air? 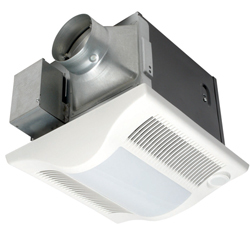 Plenty of people have designed and installed supply ventilation systems. American Aldes sells supply fans. But if you are going to the trouble of installing a supply fan with ductwork and an exhaust fan with ductwork, you might as well just install an HRV — following the "keep it simple" principle. And if you just want the supply air, most people find that it makes more sense to use your furnace blower (assuming it is an ECM blower). Don't forget to wrap the ducts with foil insulation. It's easy to install and will prevent energy loss through whatever vent system you're installing. Although you may sell radiant barriers to naive clients, I strongly urge GBA readers to stay away from salespeople like you. Ducts need real duct insulation, not aluminum foil. 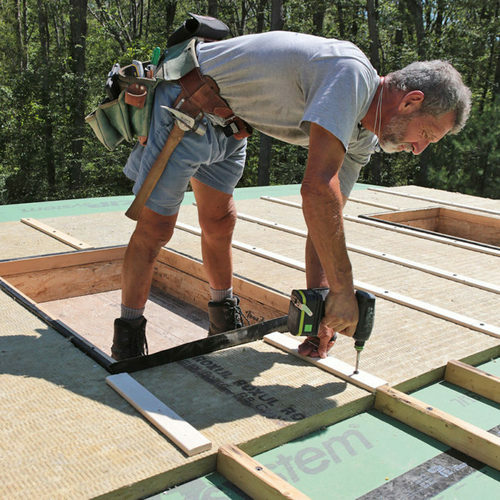 To learn more about radiant barrier sales exaggerations, see Radiant Barriers: A Solution in Search of a Problem.